Ballynester townland is on the Ards Peninsula, between Greyabbey and Carrowdore. 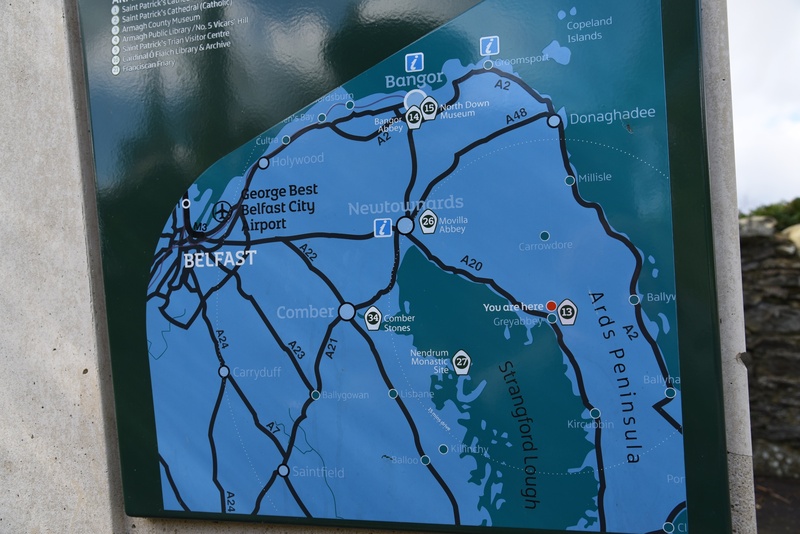 This map doesn’t mark it by name, but Ballynester is located just above the red dot for “you are here”. Most of Ballynester is farmland. 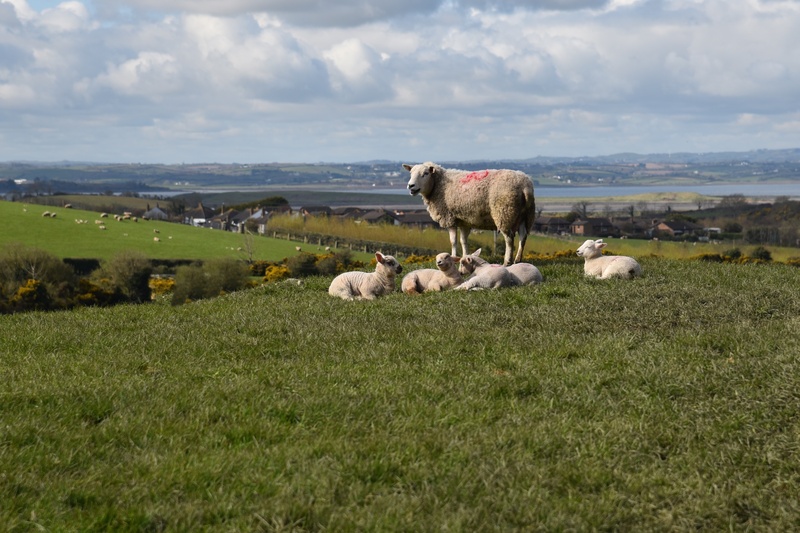 I visited there in April, in time to see this year’s lambs enjoying the view over Strangford Lough. According to the website of PLACENAMESNI.org, the most likely origin of the name Ballynester is “the townland of the doorkeeper” from the Irish Baile an Aistire. The word Aistire was the term applied to the doorkeeper of a monastery who was also responsible for ringing the bell. Where can we find a monastery near Ballynester? That stone wall is part of the ruined Grey Abbey, which is in the townland of Rosemount, beside the village of Greyabbey, and the actual location of my “you are here” map. 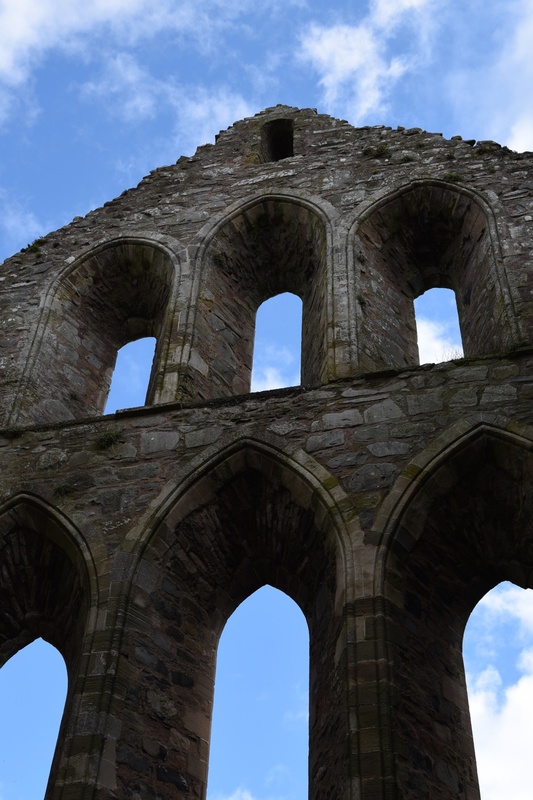 That wasn’t the only monastery on the Ards Peninsula. To the southwest of Ballynester is the townland of Black Abbey, once home to the priory of St. Andrew of the Ards. The only road running through Ballynester is the Cardy Road, and I can’t find a sign pointing to Ballynester. So my written evidence for this townland name relies on old gravestones. 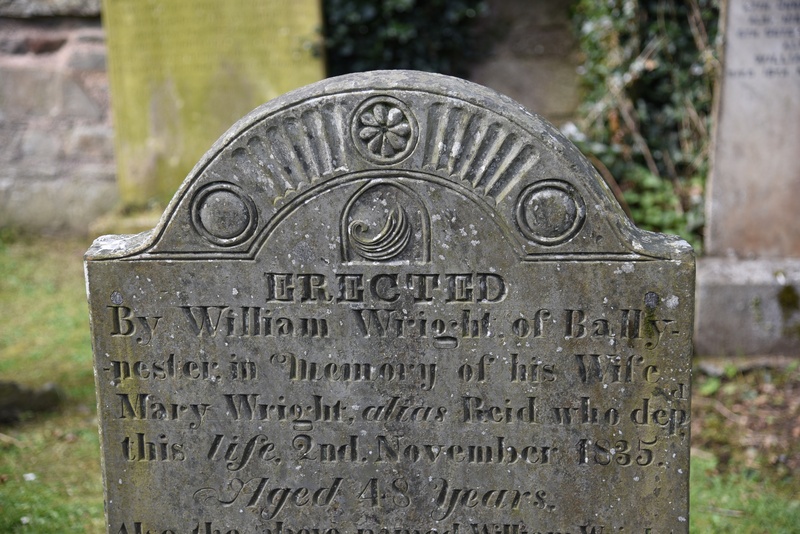 This photo from the churchyard at Greyabbey shows an 1835 stone for the Wright family. The next image is a stone from 1905 for the Baird family. This grave is in Whitechurch, on the other side of the Ards Peninsula, near Ballywalter. Thankfully, one of the townland’s residents is advertising Bed and Breakfast accommodation at “Ballynester House”, so that will keep the townland name alive. 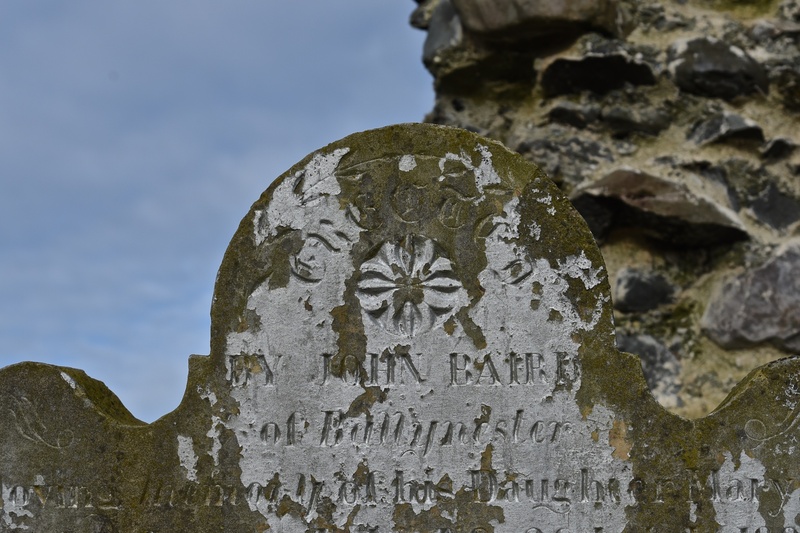 Ballynester was home to the McConkey family, and lots of the family are buried in the graveyard at Greyabbey. John McConkey, schoolmaster died in Newtownards and is buried at Greyabbey. That stone wall from the Abbey is stunning!